Plastic Spectacle Case is designed by our highly experienced designers and has become one of the most demanded products in our catalogue. 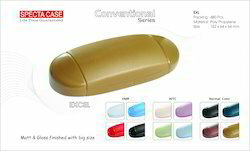 We are offering to our valuable customers Plastic Spectacle Case. 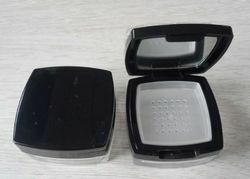 Being one of the reputed organizations in the market, we are engaged in providing an exclusive range of Plastic Eyeglasses Hard Case. Plastic Spectacle Range Cases offers its valued customers the assurance of not only attractive designs, superior styling and craftsmanship. Spectacle Cases reflects innovative designs and highest quality that are the hallmark of the product. Clear polycarbonate cover for valley plates. Useful for dyno testing. Specifications as appearing in pics above may not be similar to those in available products and are subject to change without prior notice. Made from high grade raw materials, we are offering a wide range of Plastic Eyeglass Case that provides an elegant and classy look to the packaging of spectacle. ABS plastic case for medium sized first aid kits. Shock resistant. Equipment storage spaces with clear plastic covers on each side. Together with wall mounting brackets. Our organization is indulged in offering the best quality Transparent Color Plastic Case at industry leading price as per the precise need of the clients. Owing to our in-depth knowledge in this domain, we are specialized in providing Plastic Naphthalene Ball Case. Our company manufactures a vast array of Plastic Soap Cases for its valuable clients using high grade raw materials. This plastic product extensively finds application in all private hospitals, restaurants, offices, households and hotels . These plastic cases, manufactured with the aid of advanced equipment, are highly acknowledged.